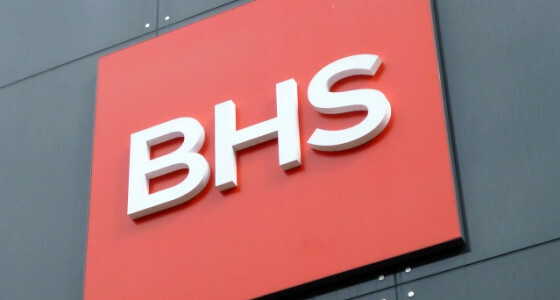 Yesterday, we heard the news that 88-year old high street retailer British Home Stores (BHS) has gone into administration, putting almost 11,000 jobs at risk. So far, shareholders have failed to find a buyer for the business, and the company’s huge pension deficit of £571m is part of the reason. BHS pension scheme members will now rely on the Pension Protection Fund (PPF), which was started in 2005 to protect people in defined benefit pension schemes that become insolvent. This will mean that those who expect to receive their BHS pension from the age of 60 could receive at least 10% less than they expected. BHS defined benefit schemes (also called final salary schemes) were closed several years ago, but it appears that more than 20,400 past and present employees have paid into them. The size of the BHS pension fund means that it’s likely to be one of the PPF’s biggest rescues. The PPF is also preparing to help secure Tata Steel UK pensions, as the future of the Port Talbot plant remains uncertain. If Tata Steel does have to rely on PPF, many of their 130,000 pension scheme members - in particular those who haven’t yet retired or those who took early retirement - could also find their expected pension amount reduced by 10%. This is a worrying time for many, and it emphasises the fact that even defined benefit pension schemes are not a gold-plated guarantee of a certain retirement income. Add to this the fact that cuts to the state pension are underway and likely to continue, and the future of tomorrow’s pensioners looks rather uncertain. If you’re worried about your retirement income, investing in a variety of different products, including a workplace pension, a personal pension, and property and other investments, can help to spread your risk. Here at PensionBee we’re on a mission to put you in control of your retirement savings. For more information about personal pensions, see our recent article explaining SIPPs. Please note that this article does not constitute financial advice. Contact a financial adviser if you need help with financial decisions.